SACRAMENTO – Furthering California’s effort to put billions of dollars of cap-and-trade auction proceeds to work improving quality of life, the California Air Resources Board (CARB) today awarded $10 million in grants to help 25 community-groups and three Native American Tribes reduce air pollution in their neighborhoods. Today’s grants will help communities identify areas with most harmful air emissions and then take actions to reduce exposure or address the underlying cause of the pollution. Recipients are located in communities across California that face significant challenges with air pollution including the Central Valley, Los Angeles, Bay Area, and San Diego. “Communities most affected by air pollution have to be in the forefront, and the $10 million in grants will engage and empower those across the state who are fighting for their lives and organizing their communities to lead the clean air effort.” said CARB Board Member Senator Ricardo Lara. The grants were awarded under AB 617, signed by Governor Edmund G. Brown Jr. last July, to establish a new community-focused approach to improving air quality and reducing exposure to toxic air pollutants at the neighborhood level. Through this first of-its-kind effort, the state collaborates with local residents and air districts to identify top pollution sources, develop solutions and track progress. Initial demand for the grant program was nearly four times the available funding. To meet the high demand and enable greater community participation, CARB increased the funding level from $5 million to $10 million, contingent upon the passage of Governor Brown’s revised 2018-19 state budget. 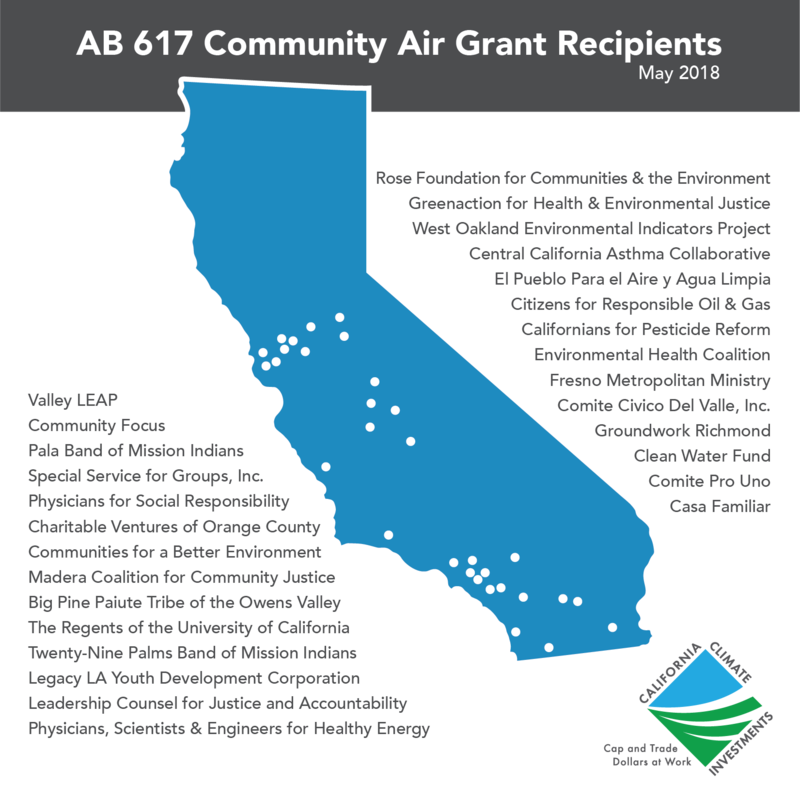 The Community Air Grants Program is part of California Climate Investments, a statewide initiative that puts billions of cap-and-trade dollars to work, particularly in disadvantaged communities. Since 2014, the state has implemented more than $1 billion in Cap-and-Trade funded projects to benefit to disadvantaged communities. Efforts include affordable housing, renewable energy, public transportation, zero-emission vehicles, environmental restoration, more sustainable agriculture, recycling and much more.